In many European countries, December 6th is celebrated as the feast day of Saint Nicholas, the patron saint of children. Children celebrate by leaving shoes by the fireplace in the expectation that Saint Nicholas will leave them a small gift. Although in some Western societies, Saint Nicholas has been confused with, or even, fused with Father Christmas and Santa Claus, the origins of the day stem from celebrating the life of one of Christianity’s most famous, historical figures – the real Bishop of Myra who lived over 1500 years ago. Nicholas was born to a Christian family around 250-270 A.D. in Patara, the capital of Lycia, in what was once Ancient Greece, but is now Southern Turkey. His parents were wealthy merchants but died of a plague when Nicholas was young. Despite this, historians think he travelled to both Palestine and Egypt in his youth. Nicholas became a priest and was eventually ordained as the Bishop of Myra, an important, nearby market town. In this role, Nicholas gained a reputation as a philanthropist because of his many charitable deeds, including giving people gifts of coins, which he often left in their shoes. Although there are many saints associated with children, Saint Nicholas is one of the oldest. His patronage of children stems from an ancient legend in which he miraculously raised three small boys from the dead after they had been murdered by an innkeeper. Whilst the truth of this story remains shrouded in mystery, the most popular folk story about him concerns three unmarried women whose father could not afford a dowry. Understanding that the only option facing the young women was to be sold as slaves or into prostitution, Nicholas secretly threw a bag of coins through the window of the poor man’s house so that the eldest daughter could marry. He repeated his kindness for the other daughters, but on the third occasion, was seen, and despite Nicholas begging to remain anonymous, the father was so grateful, he told the whole town of the bishop’s kindness, and the legend of Saint Nicholas was born. How is Saint Nicholas’ Day celebrated around the world? In the Netherlands, almost every town has an annual parade to welcome Saint Nicholas. As well as a procession through the town, a man dressed up as ‘Sinterklaas’ (Saint Nicholas), visits homes, schools and hospitals giving out small gifts. In another tradition, a character called ‘Zwarte Piet’ or ‘Black Peter’ accompanies him, entertaining the children, and scattering sweets for those who’ve come to meet the saint. In many European countries, Christmas Eve is often more important than Christmas Day itself, and the same is true for Saint Nicholas’ Day. Families get together to celebrate on the evening of December 5th with a feast or family meal. Foods eaten include German pancakes or ‘Pfannkuchen’; pork with apples and mustard in France; or soups, pizzas, pastries, breads and Saint Nicholas-shaped cookies. As children around the world go to bed on December 5th, many leave out a shoe or boot by the fireplace or front door hoping to receive a small reminder that Christmas is coming from Saint Nicholas. Whether the children receive a gift or not is often linked to the children’s behaviour over the last year. 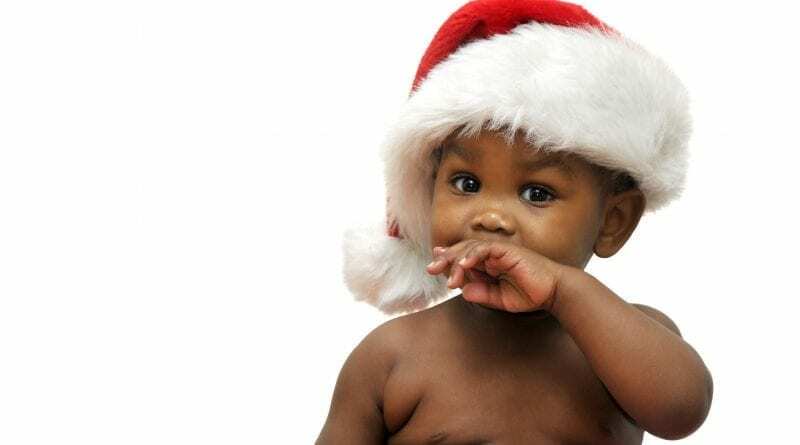 If children have behaved well, they will receive candy canes, chocolate coins or other small toys. However, Saint Nicholas is often thought to be accompanied by ‘Krampus’ or ‘Knecht’ – a frightening creature usually depicted as half-man/half-goat; who is said to punish naughty children by leaving them a coal or stick instead of a treat. In Italy, many unmarried women also receive gifts on Saint Nicholas’ Day in memory of the three girls Nicholas helped. Unmarried women might attend church to participate in a ritual called ‘Rito delle nubili’, traditionally thought to help them find a good marriage. Create a festive menu including foods from European countries such as sweetbreads, pizza, German sausage, French apples or Dutch cheeses and fruit. Draw or set up a display of some of the characters associated with the day including Saint Nicholas, Zwarte Piet or Krampus. You could add the poor father and his 3 daughters to show the origin of the legend too. Tell the children the story of how Saint Nicholas helped the poor man and his daughters. You could even act out the scene, or scenes depicting other acts of kindness and charity. Create a piece of wall-art by cutting out shoe shapes or printing footprints using the soles of wellington boots. Remember to wash the wellies afterwards. Ask the children to bring a spare shoe into your nursery and leave them around an imaginary or craft fireplace on December 5th. Once the children have gone home, fill them with a small treat for when they return on the morning of December 6th.